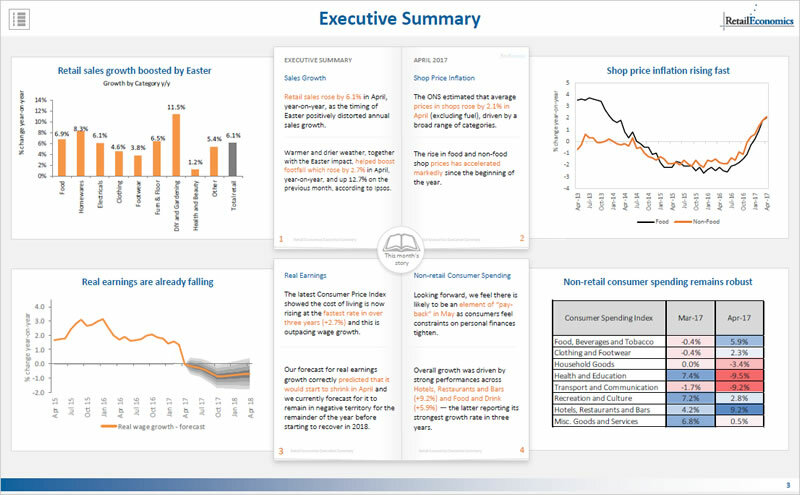 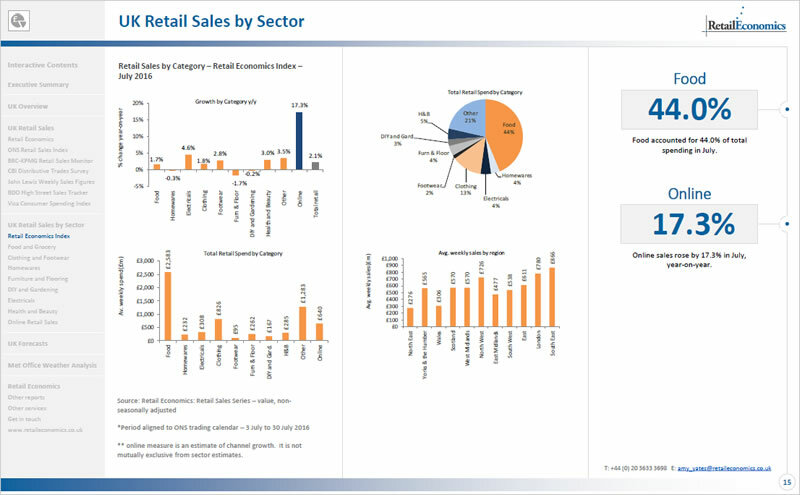 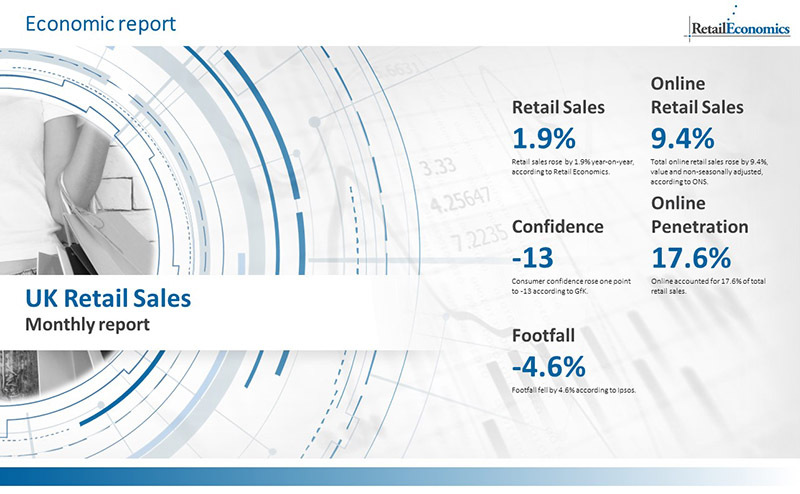 Retail Economics publishes monthly Retail Sales reports providing intelligent analysis covering a range of retail sales indices giving you cutting edge insights that you can action within your business. 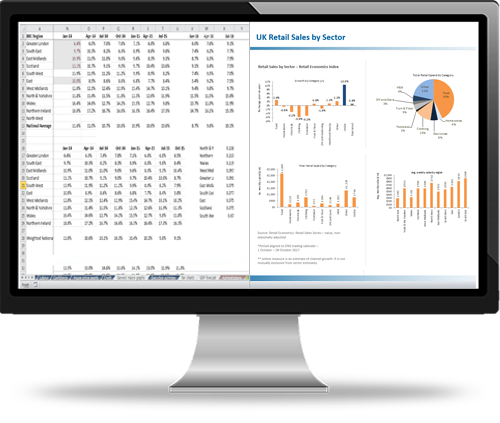 Save time - Streamline resources - Prioritise and focus. 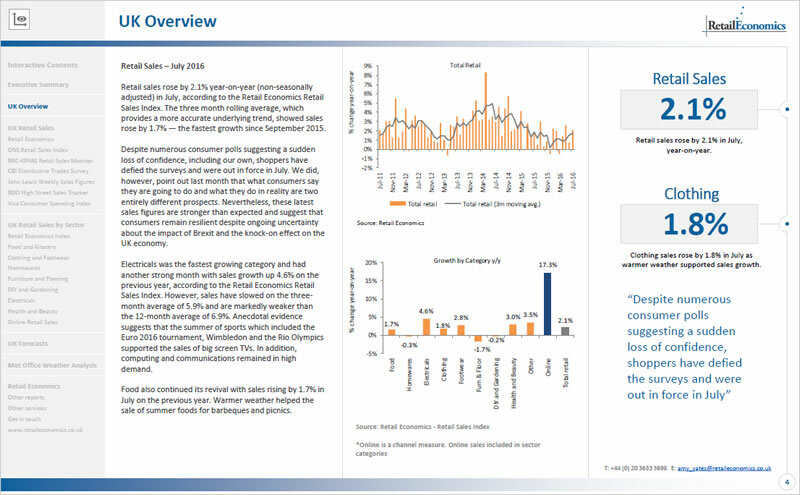 Reap the benefits of an automated data mining process because we do the hard work for you.